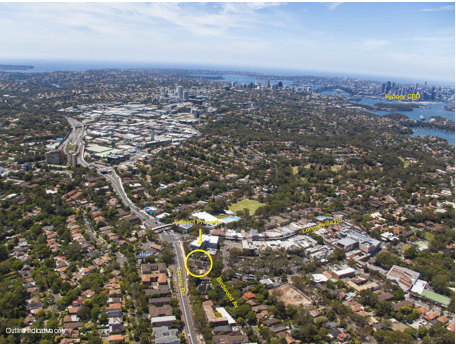 A site in Sydney’s North Shore, located at 11-13 Birdwood Avenue, Lane Cove, has sold for $5.03 million to a private Asian developer on behalf of Roads and Maritime Services (RMS). The site currently comprises of a 1,211 square metre hardstand car park but is set to house approximately 30 apartments, as well as 300 square metres of retail and commercial space. Robert Lowe and Nathan Michael of Savills Metropolitan and Regional Sales acted on behalf of RMS. "Lane Cove is currently experiencing strong gentrification and as a result the site presents a superb opportunity to create a landmark residential development site,” said Mr Lowe. Mr Lowe continued to note the large demand from both local and international developers for prime sites with residential opportunities. This is evident from six developers bidding heatedly during the auction of Birdwood Avenue. “With an oversupply of residential units in the inner city market of Melbourne developers are now also showing a greater interest in the growing Sydney residential market," said Mr Lowe.